The holidays are here and now is a time to celebrate with family and friends. While this is an especially joyous time of year for all, the roads are potentially more dangerous during this festive season. Distracted driving in Charlotte, North Carolina, is one of the main causes of car accidents during the holidays, and you need to remain especially vigilant to avoid injury or property damage from a car crash. If involved in a car accident where distracted driving was involved, you have a right to file a car accident lawsuit in Charlotte, NC. This can provide you compensation for your injuries and help you get on the road to recovery after a car crash. By working with a Charlotte car accident attorney, you can file a car accident lawsuit against the negligent driver that was distracted while driving and caused your crash. Your lawyer will advise you on your legal rights and determine the best course of action for your car accident case. 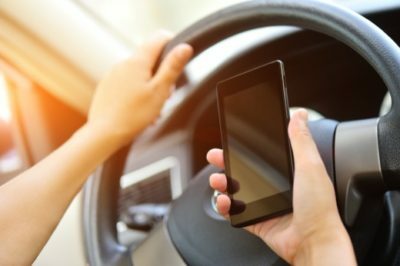 What is Distracted Driving in Charlotte, NC? Charlotte, North Carolina residents are more susceptible to distracted driving during the holidays, as a lot of people behind the wheel are preoccupied with holiday plans and shopping lists. In addition to drivers having a lot on their minds, they are also more likely to take their eyes off the road to check their phones or GPS systems. All of these behaviors cause a driver to take their attention off the road, which can cause a car accident in a matter of seconds. You may notice that a driver is swerving in and out of their lane or that they do not seem to be obeying traffic laws. Distracted driving may be the cause and you need to make sure you avoid their vehicle at all costs. How Do I Prove Distracted Driving Caused My Accident in Charlotte? You should not have to foot the bill for your distracted driving accident. Reach out to Brown Moore & Associates today. Often times, a Charlotte car wreck caused by distracted driving occurs with little to no warning. A driver may slam into the rear of your car because they were distracted and didn’t provide enough time to stop. They may run red lights, causing a hazardous situation on the road. While you cannot prevent distracted driving in Charlotte, NC, you can fight for your rights under the law when you are injured in a car crash because a driver was not paying attention to the road. A car accident lawsuit in Charlotte, NC, helps you receive compensation for your injuries to pay for medical bills and lost wages. You also have a right to pain and suffering, and in some cases, even punitive damages are awarded to punish a driver that was particularly egregious in their actions. A car accident attorney can help you file a car accident lawsuit in Charlotte, NC, and establish fault in your car crash case. Determining fault in a car accident case is key as the North Carolina courts use a contributory negligence law in determining whether an injured victim is entitled to compensation. This means that if both parties are at fault in a car accident case, then the injured party cannot recover compensation, even if the injured victim is minimally responsible. For this reason, your car accident attorney needs to prove without a doubt that the other driver was 100 percent at fault in your crash. Your car accident lawyer will work to investigate your car crash and determine if distracted driving was at play. This is often detailed in the accident report and listed as the cause of the collision. Your attorney will establish the burden of negligence of the other driver and, through a car wreck lawsuit, help you get compensation for your injuries and property damage. The moments after a Charlotte automobile collision can be very disorienting. You may be concerned about any personal injuries or damages to your car. While your health should be your top priority, try to pay attention to your surroundings and recall what led to the collision in the first place. If the other driver was swerving or not obeying basic traffic rules, then you may have a case of distracted driving. When involved in a car accident caused by distracted driving in Charlotte, North Carolina, you need an attorney that can fight your case. The lawyers at Brown Moore & Associates, PLLC can help you from start to finish of your car accident lawsuit so you can get the settlement award you deserve. Contact us today to set up a consultation.